Twenty years ago on 18th November 1991 Magick Eye Records released the first single release by Astralasia. Astralasia had previously released a couple of cassettes on their own label plus their debut album, 'Astralasia', on indie label, Mystic Stones. One day, pre Magick Eye, Chris Hillman, was visiting Astralasia's Swordfish in his recording studio and Swordfish played a couple of tracks that the band were working on. The tracks were ideally suited to the fast growing underground dance movement and sounded great - different and innovative - so Chris set up Magick Eye Records in order to release them. The title track was 'Rhythm Of Life' an uplifting dance anthem and the other side of the single, 'Celestial Ocean' was another dance anthem, mixes of which are still played at current club nights such as Whirl Y Gig. 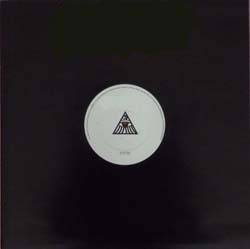 The original 12" of this release has long since been sold out so if you have a copy you have a rarity! These mixes have never been available before on CD or digitally until now!! Following the release both tracks became dance floor favourites with Dj's and magazines such as Mix Mag. Soon Astralasia were appearing in gigs and festivals throughout Europe and their future releases were soon gaining a worldwide reputation and reaching high positions in the indie charts. Now you can hear where it all began!